Nearly 1/3 of the world's amphibian species are currently at risk of extinction due to environmental degradation and climate change. And many of these amphibians are now also being threatened by the fungal disease chytridiomicosis. 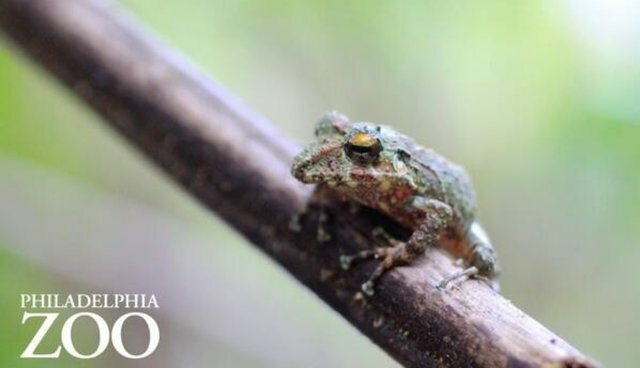 With support from the Critical Ecosystem Partnership Fund (CEPF) through our investment in the Caribbean Islands biodiversity hotspot, the Philadelphia Zoo, Grupo Jaragua and Societé Audubon Haiti are working to save endangered frogs in Hispaniola by building local management capacity and developing conservation plans. During a recent field training expedition in the Dominican Republic, project participants had an opportunity to develop their species monitoring technique while swabbing frogs for the chytridiomicosis fungus. Learn more & see photos from the training.